Hi, this is Chris Shattuck with build a module dot com. And I'm going to be talking about blocks. So first of all, let's talk about what a block is. 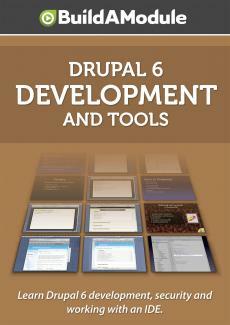 A block is an essential element of Drupal that it uses in order to display content in little areas. So on your page, if we're looking at a Drupal page, let me go ahead and pop over to one so you can see here. There are different areas of the page where you can put in blocks. And so if we go to the admin slash build slash block page, we can see that there's a list of blocks that we can use to add to basically any area of our page. As you can see here in the configuration, we have areas for the left sidebar, the right sidebar, the content area, header, footer and disabled section for blocks that aren't currently being used. And I've gone ahead and enabled a bunch of blocks so you can see sort of what constitutes a block. What's a typical block that you would see? Why would someone create a block? So we can see here, there's a block for searching this site. So this block is very simple, it just provides a form that somebody can fill out and search the site. The next one is provided by the Masquerade module. And this is a module that allows you to masquerade as a different user so you can see what the site looks like from a different user's perspective. So these two are kind of functionality blocks, they give you some exposure to a particular functionality on the site. But there's also other types of blocks that are mostly content based. So here we have the navigation block. And we can see here in our left sidebar how this is structured. First we have masquerade then we have navigation. So here's our navigation block here. And then below that we have a Pol which is kind of a combination between content and functionality. A Pol is a node but it also allows us to track user's input. So these are just some common usages of a block and creating a block in Drupal is really easy. First of all, I want to explain why someone would use a block instead of some other type of content wrapper. So if you've been coding in php and you're getting used to Drupal, you might be familiar with the concept of creating a function that will output a particular type of content. And then you can use that function in multiple places to output that content. But the problem with that is that that require, in order for somebody to use that function, that user has to be able to use php in their code. And so the first reason why using a block is a good idea is that there is integrated configuration. You don't need to expose users to the php functions directly. Let's take a look here at a block that's created by the aggregator module. If I click configure next to it, we have the default block title input but then we have a custom input here that allows us to determine how many items in this block were supposed to show. So this is, if we were using just a basic php function, what we'd be doing is forcing the user to use the php function and pass it to this variable. And sometimes, php functions have some power that we don't necessarily want to expose for an average user. So we wouldn't just give every user the ability to use php code on the site because that means that they can call any function. So a block sort of wraps around some functionality that normally and maybe exposed through a function and allows that to be used in just particular ways so that can be kind of handy. Also, if you're comparing and contrasting the idea of using a block versus just exposing a php function to a user. One other advantage we have is that people know to look for these little content areas inside of the blocks configuration screen. That's just the default place where you would put some block of content that people will want to add to their page somewhere. So when they go in looking for something in a Drupal user interface which can kind of be confusing, they at least know that they can come here and find that bit. So that's particularly useful as well. And finally, when you expose content inside of a block, it allows other modules to plug in to the block system in order to manipulate the blocks in some way. So one pretty powerful module that does this is the Panels module. The Panels module allows a user to basically place blocks anywhere on their page on a page per page basis. So this gives a powerful interface to just your administrators, your editors to create pretty fantastic looking layouts just by integrating blocks and the panels systems. So there's other modules out there that will do this. So it's just a good rule of thumb to go ahead and use blocks to wrap around your content. Now, let's go ahead and take a look at what it takes to create a block. Before we take a look at some examples, first of all I want to point your attention to a few places on api dot drupal dot org and drupal dot org that provides some useful documentation. First of all, this is the hook block page. Now a hook, if you don't know what a hook is, go ahead and watch my introduction to hooks video. And this will give you a list of the different operations that are passed. So if we look at how this function is structured, the first is the op and whenever you see op, it's short for operations. And in this case, there are several operations which are listed here. And then a delta which is the number of block, that will become, how that's useful become more clear as we look at some examples. Okay, so here's another page that's helpful if you're trying to wrap your mind around what a block is, it's the handbook slash module slash block page on drupal dot org. And this is just sort of a top level view of what blocks are. And finally, in the creating Drupal 6 modules tutorial page on the drupal dot org module development handbook, there's a good examples step by step on how to create a module with a block. Okay, so for the first example we're going to look at the masquerade module because their implementation of hook block is very simple. So let's take a look at it line by line. First, we have a declaration of the hook block with three variables being passed to it. So these variables are basically just place holders so when the function gets called there's going to be some data in there that's meaningful. In this case, it's just setting the default. So the default operation is list. The default delta is zero. And the default edit value is an array. The edit value is an array of values that will be passed to it if the block configuration settings form is saved. So let's go ahead and move on to the next line. We are using a switch operation here to split up the different operations by case. So one other option here would be someone could use if-then statements. If op equals list then do this. If op equals view then do this. But the switch makes it a little easier to read. So the first case is list. And we see it's just a single line here and this single line will create the entry when you look at the blocks configuration page. So let's go ahead and take a look at the configuration page so we can align this line with the actual configuration. So when we're looking at the page, we have the masquerade module block here. So that's what we're looking at when we've created this first entry. So let's breakdown this variable real quick. We have the blocks variable which is going to contain an array of our settings for the block. And then the array that we see here is the item in the blocks array. So if every block is going to have their own item here. So if we created one more block, this would be blocks and then a one in here. And then we have the parameter. So in this case we just need the info parameter which provides us the title of the block. And then finally, we return the block or we return the blocks array. And that just sets it all up for us, with just that we'll be able to see it on the blocks configuration page. The next line provides a case for the view. So when view is called, that's when the block is displayed on a page somewhere. So first of all its checking for permissions. So do we want to actually show this to somebody, everybody or do we just want to show it to particular people. In this case, it's running its own access function to see if it has this permission. If so, then it runs another switch and that switch is based on the delta. So the delta up here aligns with this number right here in the blocks array. So the zero is going to be the first block.